PayPal is a popular app/website through which users can send or receive money online. Unlike IMPS, RTGS or NEFT services that charge hefty fees for depositing money into your account, PayPal charges a trifling fee for transferring your money to the bank account. Various eCommerce firms accept payment made with PayPal. Hence, if you’re in one country, you can buy a product listed on an eCommerce portal that operates in another country, and ships products worldwide. PayPal is a cheap money transfer service. It is popular among bloggers, internet marketers, freelancers, small businesses, etc. Creating an account with PayPal is easy and free. Once your account is ready, you must verify your bank account with PayPal. To receive money, the receiver must share their PayPal email id with the sender. Likewise, to send money, the sender must know the receiver’s PayPal ID. Although it is a new app, Google Wallet has emerged as a great PayPal alternative because it’s user-friendly, fast and secure. Google Wallet is a digital wallet app which you can use to save loyalty, debit or credit cards securely. It also allows you to send/receive funds to/from other users quickly. Google Wallet is linked to other Google services. Thus, if you have a Google account, you don’t have to waste time in creating a GW account. 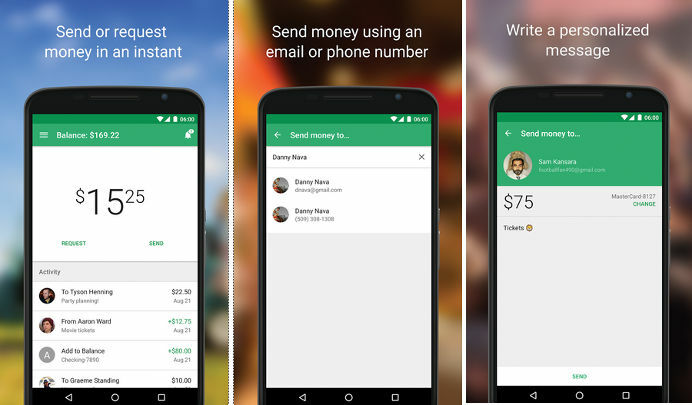 Google Wallet lets you request money from other users. Once the person sends money to your account, GW will transfer it to your bank account automatically. You can send or receive up to $10000 on a given day with GW. Like other mobile payment services, Google Wallet charges a small fee on transactions. As of today, GW service is available only in the US. In the coming months, Google may launch its wallet app in the European and Asian countries. Skrill is a digital payment platform with low transaction fees. It lets users transfer money to other Skrill user’s account regardless of his/her geographic location. The Skrill money transfer service is available for users in 200+ countries. Hence, if PayPal doesn’t support your country, you can use Skrill for sending and receiving funds online. The Skrill app lets you manage your debit and credit cards from one place. If you don’t have a card, you can apply for the Skrill MasterCard. You can use the Skrill MasterCard as a regular debit card. Creating an account with Skrill is free. As in PayPal, users must verify their accounts to receive or send money online. Skrill is a secure platform. 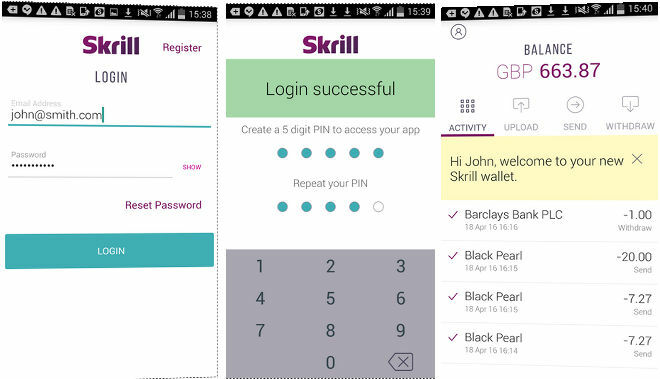 Apart from the login password, Skrill app asks users to enter a 5 digit pin code for accessing their dashboard. Furthermore, the app saves your data in an encrypted DB. Payoneer is one of the best PayPal alternatives right now. Like PayPal, you don’t have to pay a fee for creating a Payoneer account. Payoneer charges $3 for transactions. To use it, you’ll have to verify your identity and bank account. Unlike PayPal, that allows you to receive money by simply providing an email ID, PN provides a bank account number and bank name. To receive payment, you must share these two details with the merchant or money sender. If you want to use Payoneer for online shopping, you can request a Prepaid Mastercard from Payoneer. Apart from shopping online, you can withdraw money from a local ATM with the Mastercard issued by Payoneer. PayZa charges up to 2.99% for every personal or business transaction. It can send funds to users in 190+ countries. The transaction fee is different for each country. 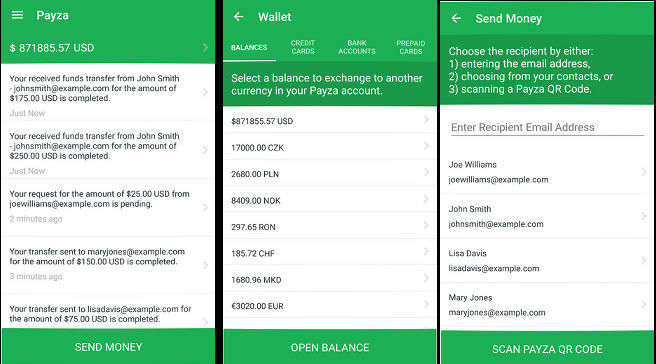 Payza supports 20+ currencies and it lets you send money via emails. The PayPal alternative enables lets you add money to your wallet and make fund transfer requests for free. If you’re working in a foreign country, you can send money to the family residing in the home country with the PayZa SimplySendBDTM service. PayZa gives users access to special service called Resolution Center through which customers can get a solution to the problem they’re facing while sending or receiving funds. The eCommerce giant had launched the Amazon Pay platform for merchants and consumers in 2007. The service was first introduced in the US. Now, it is available in several countries. Amazon Pay is integrated with Amazon.com. It allows you to check out on leading portals like Lenovo, HomeSquare, Vizio, MovieTickets, etc. Amazon Pay is a free service. If you’ve bought a product from Amazon.com, you don’t have to signup for Amazon Pay. All you have to do is load your wallet with an amount. 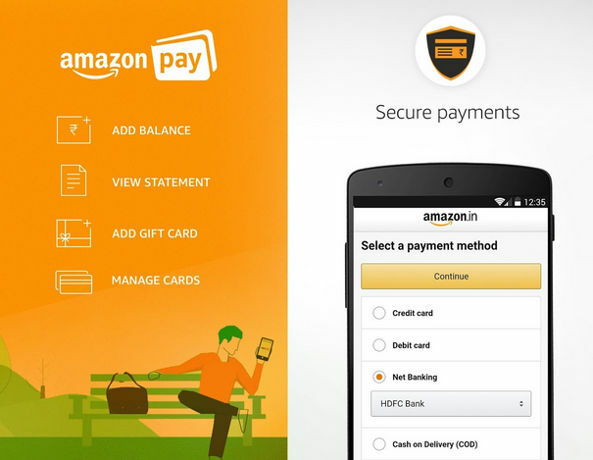 Amazon is serious about its digital payment service. Unlike many top internet giants that kill a product if it doesn’t take off, Amazon kept improving its payment platform. Today, millions of people use this service to make online transactions. Amazon Pay charges 2.9% for every online transaction. Square is a PayPal alternative payment service that allows you to accept payment from users residing in another country. It allows business owners to create attractive email marketing campaigns. If you own a website, you can integrate Square with your site with a few clicks. Square supports integration with leading third-party business apps. It has kept the transaction fee to 2.75%. The fee is the same for all cards. Square allows customers to transfer wallet money to bank accounts instantly. When you create your free account with Square, a card reader will be shipped to your address within a week. The card reader supports Android and IOS devices. It makes online or offline payments faster. Square has launched separate apps for businesses and consumers. Businesses should download the Square Point of Sales app. 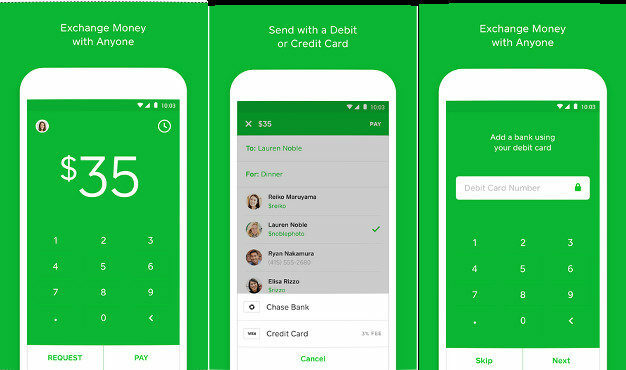 Costumers who want to send/receive money must use the Square Cash application. Payoneer, Google Wallet, Amazon Pay, Payza, and Square are the best apps like PayPal. They’re secure and widely used.